Kat and Karl : Re-enactment picture! This is the FIVE YEAR REUNION of this PICUTRE. 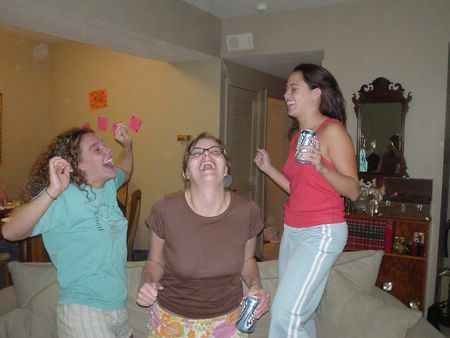 mere brooke and i have this great picture of the three of us from our freshman year in college. we are seen here trying to recreate the shot. I must get the original scanned and put up so you may see them side by side.